One of the key characteristics in ensuring the success of the portfolio is to do proper diversification and asset allocation in based on one’s risk appetite. 1. Diversification can spread your risks. 2. 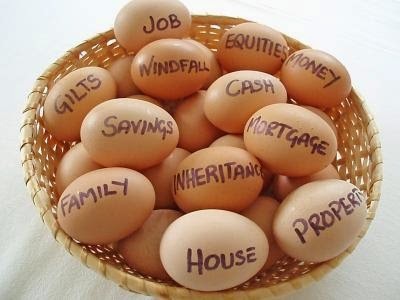 Diversification can help you to achieve your financial goals. 3. Diversification helps increase financial ‘safety’, which is a form of financial protection. 4. Diversification helps optimize your investment portfolio with an acceptable level of risk. 5. Diversification reduces volatility and fluctuations. This is particularly helpful to new investors - they can avoid the wild swings in investing especially in higher risk instruments. 6. Diversification helps individuals meet the need for liquidity. With a diversified portfolio, there will always be some assets in your portfolio that are up and some that are down at any given point. If you need to liquidate an asset to fund something, you can always choose to liquidate the asset that have shown a profit and let the other assets (that are negative) recover by giving it more time. 7. Diversification helps your investment portfolio grow smoother. It absorbs the shocks from market volatility. 8. Diversification helps you sleep at night. 9. Diversification give you the confidence that your hard-earned money will not be lost if the markets crash. At least not all of it. It is important to recognize that markets have cycles and what goes up will come down and vice versa, so if there is a “loss” it is more of a “temporary loss”. 10. Diversification helps your portfolio experience lesser losses. In a nutshell, diversification makes good and sound investment sense. To illustrate, I have prepared 2 charts below that show a line graph and an equivalent chart in numbers comparing an investment in the Philippine Stock Market and a globally diversified fund of funds. 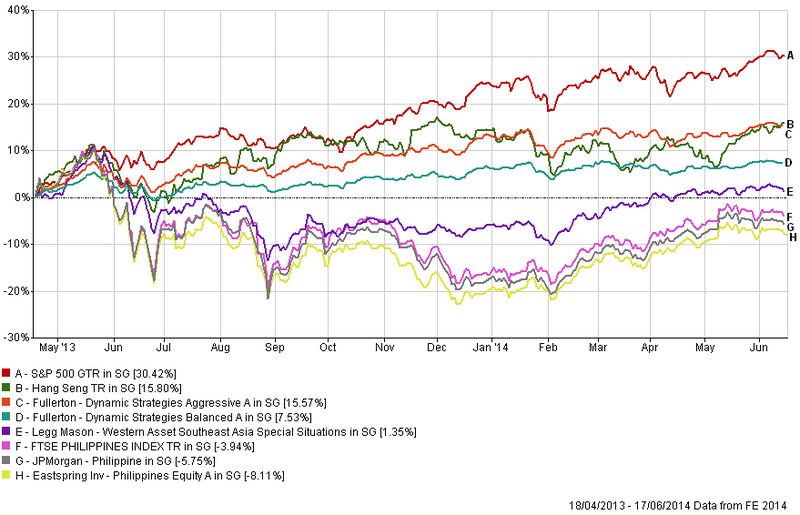 This chart shows the performance of different markets globally since April 2013. *an index is a representation of a market. All currencies are re-based to SGD for more accurate comparisons. 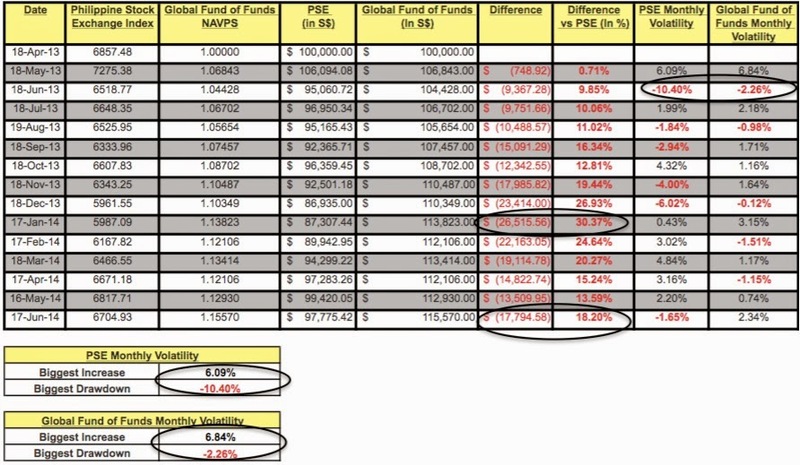 To make it easier to compare, here is a table showing the effect for somebody who started investing in April 2013 of 100,000 SGD to the PH equities while another one using the Globally Diversified fund of funds. The volatility (price swings) for globally diversified fund of funds is much lower than country-specific funds such as the Philippines. April 18, 2013 was chosen as the starting date as that was the launch date of the global fund of funds in this illustration.